Despite this, Laurie is an incredibly talented seamstress. If you ever have a need for vintage or historic clothing, Laurie is THE person to custom-make your items. 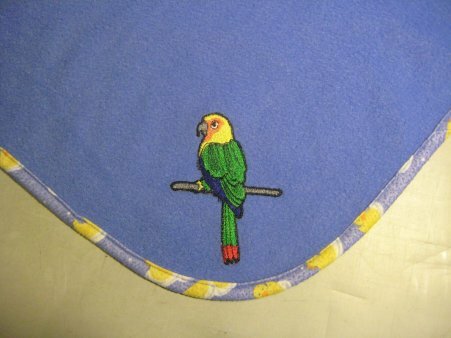 Her attention to detail is unbelieveable and her workmanship is uncompromising. Check out her website, Daze of Laur, for some eye-candy you will absolutely die for. 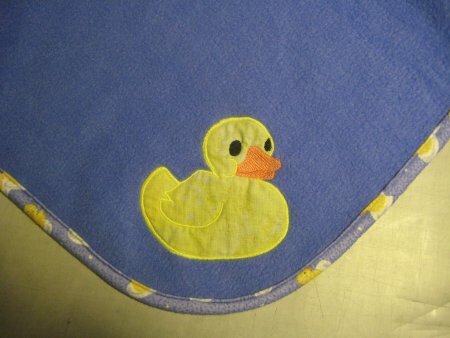 Anyway, back to the fleece blanket .... Laurie likes rubber duckies. Rubber duckies remind me of Laurie. 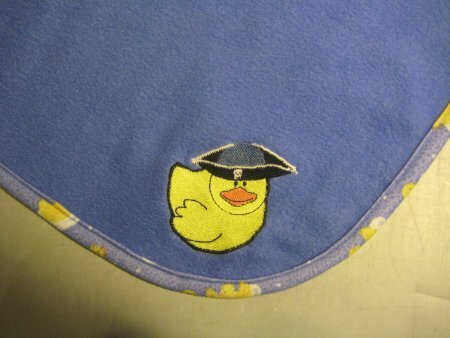 I had picked up some rubber duckie flannel at one time with the intention of using it as binding on a fleece blanket for Laurie. Time passes. More time passes. Even more time passes. No fleece blanket appears. 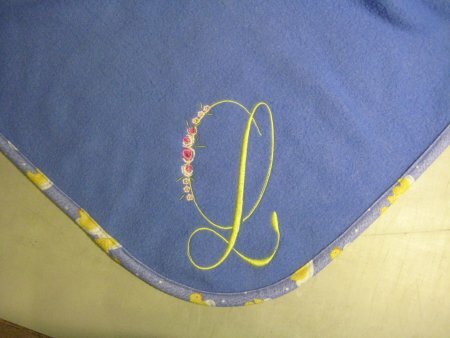 The fourth corner is an oversized "L", for Laurie, as seen in the picture at the top of the page.